Osage Casino Hotel has signed on for another three years as the official naming rights Sponsor of Tulsa Raceway Park. Park recognized on the national level and on the local level. With the support of Osage Casino Hotel for the past nine years, they have been able to bring over 100 events to the track. Ranging from Bracket Racing, Shootouts, Midnight Drags, Outlaw Shootouts, Import Face-offs, Mud Drags, NHRA Divisional events, The Throw Down in T-Town, Obstacle course races, Spring Nationals, Outdoor concerts and more. “Keith and I are passionate about Drag Racing and we are committed to bringing new races and events to the track every year. We always have something new. We are so excited that Osage Casino Hotel has renewed their contract. This makes it three consecutive contracts with us, each lasting three years. Without Osage Casino Hotel support we would not be where we are today,” said Martin, co-owner of Tulsa Raceway Park. “Since day one we have been committed to bringing race fans the absolute best racing experience. With Osage Casino Hotel Support we are able to make yearly improvements at the track.” Keith Haney, Partner at Tulsa Raceway Park. 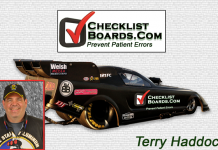 you will see some extreme drag racing and some of the best Pro Mods, Outlaw Gassers, and Dragsters in the Country,” Haney added. 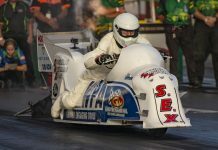 Next articleWILLOWBANK RACEWAY EVENT TO GO AHEAD DESPITE TOP FUEL BOYCOTT.